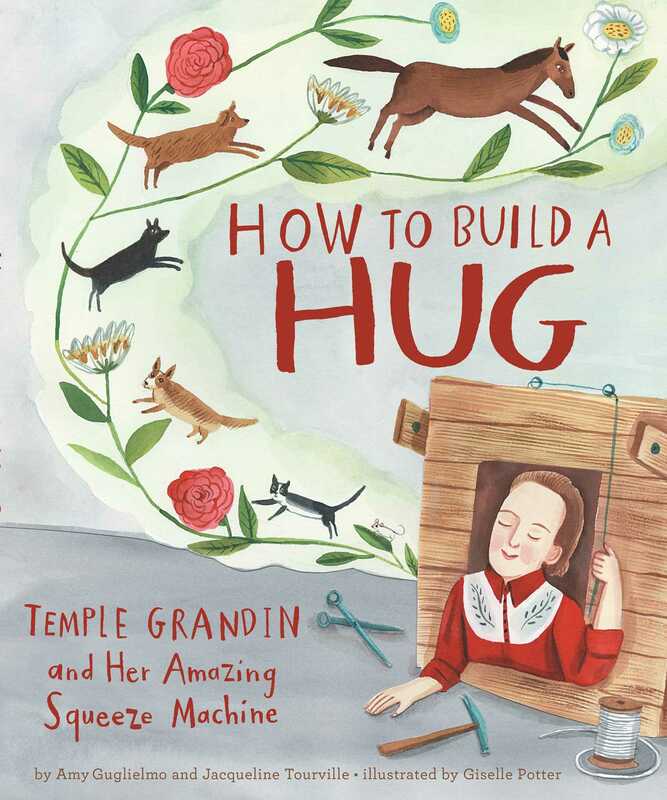 "A picture book explores Temple Grandin's first innovation, a personalized hug machine.... Guglielmo and Tourville present Grandin's story with respect and enthusiasm....lovely." "Potter’s watercolors . . . convey Grandin’s intelligence, inventiveness and social challenges, emphasizing both her intense reaction to hyperstimulation and her calm demeanor under situational control. An author’s note offers additional information on Grandin’s life and the innovative therapies deriving from her 'hug machine.' Although readers interested in autism will be a prime audience, this engaging title will be well received in invention-themed reading programs as well." "Guglielmo and Tourville (Pocket Full of Colors: The Magical World of Mary Blair) team up again to present a picture book biography of noted out-of-the-box thinker, Temple Grandin. The authors focus on young Grandin’s creativity and ingenuity and her sensitivity to sights, sounds, smells, and touch—being hugged “felt like being stuffed inside the scratchiest sock in the world.”... Potter skillfully depicts Grandin’s experience using her familiar folk art style... 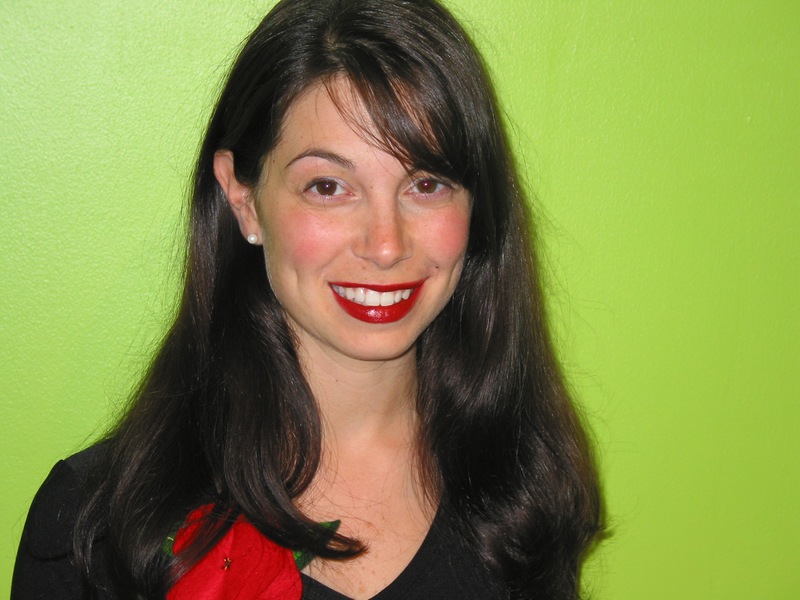 VERDICT: An inspiring look at the development of a scientist and advocate. Highly recommended for biography sections as well as for elementary STEAM curricula." "Guglielmo and Tourville gently present the story behind Grandin’s “squeeze machine,” describing Grandin’s childhood love of building and design, as well as her sensitivities... Hugs, in particular, she found unbearable. But, the authors explain, Grandin discovered that external pressure placed on her body made her feel secure... Potter’s warm illustrations feature human and animal figures that are reminiscent of folk art dolls while showing Grandin’s discomfort with outside stimulation. The authors avoid overt mention of autism in the story, but back matter elaborates on Grandin’s life, career, and contributions to autism awareness." "Grandin’s story is tenderly told. The consternation the young girl feels at her inability to partake in a fundamental human experience is abundantly clear through Potter’s woodcut-style, sensory illustrations, and her eventual solution feels like a unique triumph. 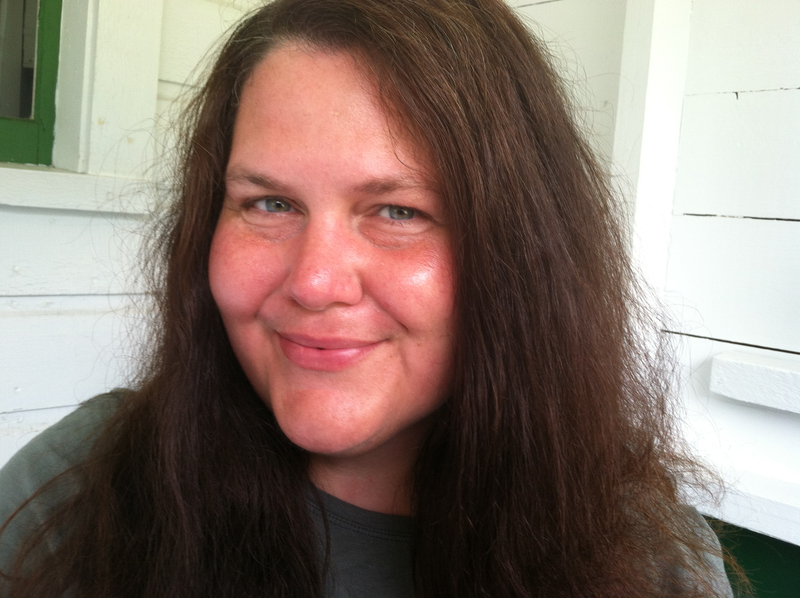 An author’s note explains how Grandin’s experience with autism has shaped her life and her activism." "The authors take readers from Grandin’s early childhood through her young adulthood, lightly sketching in biographical information in order to focus on her antipathy to being hugged by others and her resultant invention. Potter’s illustrations capture Grandin’s likeness well and frequently show her with tools in hand or near animals, reinforcing the text’s emphasis on these interests."